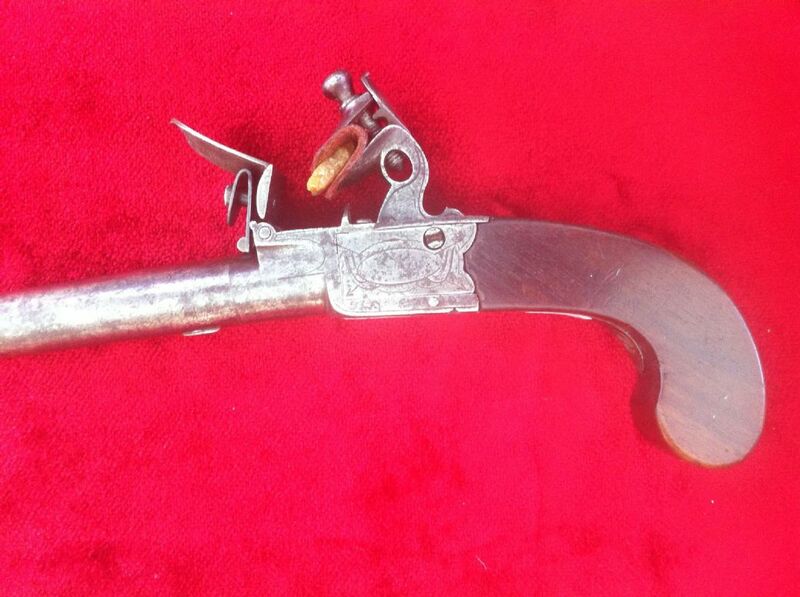 A good English single barrelled flintlock pocket pistol, the frame engraved to one side with a very faint name. The other side engraved with a stand of arms showing the British flag. Circa 1780-1810. Screw-off barrel. The underside of frame struck with 2 very clear proof marks. 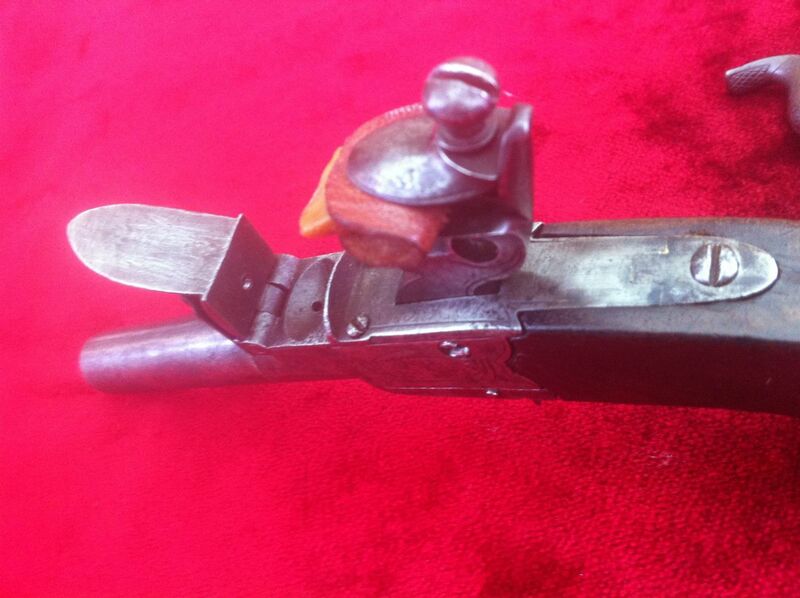 Folding drop-down trigger, slab sided wooden grips. The condition is very good and the action is in good working order. Overall length approx 7 inches. 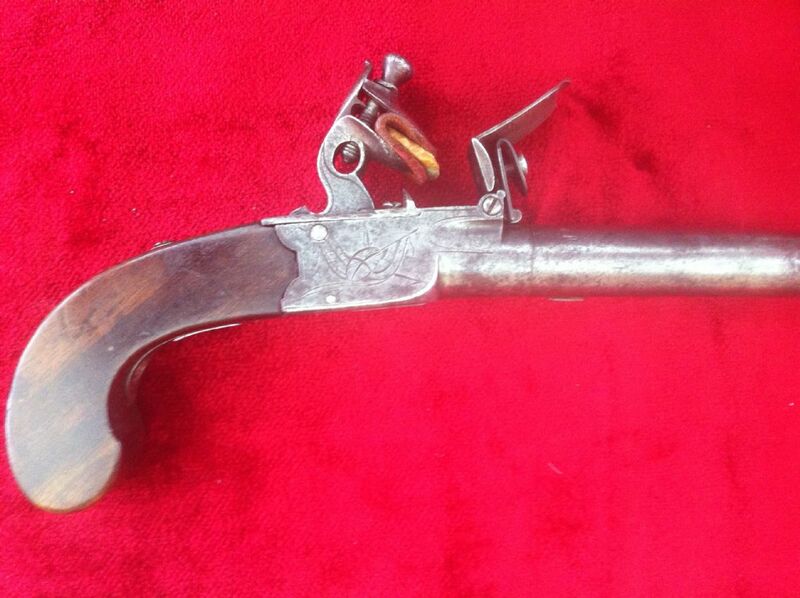 This type of pistol was often carried for personal protection during the 17th-18th century when Highway robbery was commonplace. Ref 7387. We accept payment by debit card, credit card, or direct bank transfer. We make no extra charge for paying by card when you pay online using the World-Pay payment gateway, it is simple and very easy to use and protects both the buyer as well as the seller. 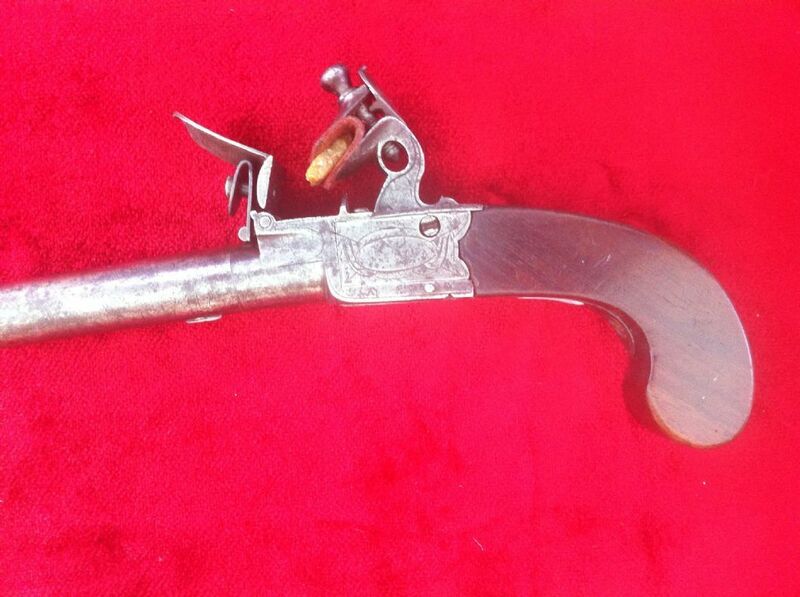 We carry in stock the largest selection of genuine antique weapons for sale in Great Britain. Every item is guaranteed to be original. Single items and collections always wanted. 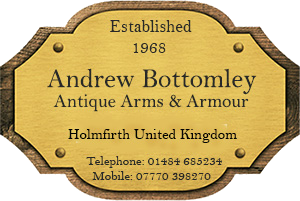 Please call us if you have any items for sale. We will pay top international prices for good items. All transactions are treated in strict confidence. Immediate payment. Established in 1968. Trade member of the BASC - The British Association for Shooting and Conservation.